Update, October 2018: This has now been superseded by a more informative and streamlined introduction here: Introducing the ACME EDM Experiment. It’s been almost two months since I last updated this blog, and the reason is because I’ve been utterly busy with both my courses and all the research going on in my experiment. As you may have read on my biography page, I am a physics Ph.D. student in the Gabrielse group at Harvard University, working on an experiment called the Advanced Cold Molecule Electron Electric Dipole Moment experiment, or ACME EDM in short. This experiment is a collaboration between the labs of three professors: Gerald Gabrielse, John Doyle (Harvard), and David DeMille (Yale). Almost two years before I started graduate school (December 2013), the experiment set the world’s current (as of 2016) best limit on the measurement of the electron EDM, an upper limit of , a 12-fold improvement over the previous bound. In more everyday (but perhaps crudely imprecise) language, the experiment was examining the electron’s “shape,” and found that it is at least twelve times rounder than it was before – the slight bulge which many theoretical physicists predicted was not seen at our instruments’ level of precision. 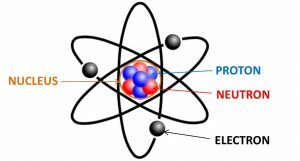 To get a faint idea of the precision of this measurement, it’s helpful to imagine the electron as a literal sphere of charge with a certain radius – called the classical radius of the electron,1 which is . This is a very, very small length. For comparison, the length of a human hair is a few tens of microns, or a billion times larger. But let’s be generous and blow up the size of the electron to something really large. My professors like to use the example of blowing it up to the size of the earth. This time I’ll blow up the size of the electron to the size of the Solar System, as defined by the orbit of Neptune – a radius of 4.54 billion km, or . This is an immense distance: it took the probe Voyager II 12 years to reach Neptune, and it would take a commercial jet airplane about 500 years. Even with this generous artificial blowing up of the size of the electron, our experiment would be looking at a bulge/asymmetry of a few centimeters. This kind of precision is unfathomable in everyday life. That’s why this subfield of physics is called precise measurement. The cover of the journal Science when ACME published its first result paper two years ago, reporting that it had found nothing. It’s an artist’s impression of an electron. The green halo surrounding the electron is slightly off-center – reflecting the supposed asymmetry which everyone hoped to be there, but still hasn’t shown up. But maybe the bulge was there, only that it was still too small to be seen. The experiment was far from being exhausted – a slew of upgrades were planned and implemented over the next two years, projected to improve the precision substantially. I joined the experiment in September 2015, near the end of this upgrading phase. As of June 2017, ACME is beginning to take data for Generation II, which is so far projected to improve our statistical sensitivity by an order of magnitude. The question you might ask: how does one measure something so precisely? Here, I can give you only a short answer. The ACME experiment is basically a beam of molecules. We use lasers and electric fields to manipulate the molecules as they pass by. We examine their initial and final states. How does this connect to the electron’s shape? It turns out that small deviations in the shape can contribute to small deviations in its behavior when we perform these manipulations. The extreme precision of techniques of atomic and molecular physics makes it possible to measure such a quantity very precisely. Another question to ask: why does this measurement matter at all? The short answer is that the existence of a small bulge in the electron’s shape would have the potential to explain larger puzzles in physics, including the question of why matter exists at all in the universe. To give longer, more detailed answers explaining the wonderful and fascinating physics behind the experiment (both theoretical and experimental), I’ve decided to start a series of post explaining what exactly I do, professionally speaking. Depending on the mood of the week, I hope to be able to explain all the nuts and bolts of the ACME EDM experiment, including both its theoretical background, experimental scheme, as well as even the nitty gritty details that are part of a graduate student’s life. The level of explanation that I will be aiming for will be two-tiered: I will try to talk in layman’s terms for outlining the general overview of the things I want to talk about, but I will definitely need to get more technical when explaining the experiment in detail. Nevertheless, reflecting my own current level of understanding, I hope to keep my technical parts within the grasp of a senior undergraduate or beginner graduate student who knows some core physics, especially including a quantum mechanics course.